After 8 years of meeting and treating more than 10,000 women in my integrative medicine practice, I’ve noticed that every woman’s thyroid story is completely her own. My job is to learn about your health, your body and your thyroid to analyze what might be plaguing you. I can speak from my own experience with thyroid imbalance that it can be downright debilitating and torture us in far more ways than one. I ignored what was happening to me for years, though now I’m not sure how. I gained weight, lost tons of hair and was just not feeling well at all. A series of doctor’s visits had me believing I would be bald by 30—that’s a scary thought for a 28 year old. Finally, I decided to find answers to my own health questions. I studied every system of medicine I could get my hands on and have since discovered what my issue was, and still is. It is the same issue that affects an estimated 20 million Americans, with up to 60 percent of those unaware that they even have it: thyroid disease. Unfortunately, we women are 5-8 times more likely than men to develop this kind of condition, along with the elderly. The main culprit is our increased susceptibility to autoimmune diseases and inflammation, the root of many thyroid conditions. Hypothyroid: This condition occurs when you have a slow, or underactive thyroid. Essentially, your thyroid is not making enough of the hormones your body needs. This condition is matched with symptoms such as hair loss, weight gain (especially in the lower body), fatigue and difficulty going to the bathroom, or constipation. You might also have trouble running around and keeping up with your day-to-day routine (let alone those intense workouts you once managed with ease). Hyperthyroid: This condition occurs when your thyroid gland is speeding up—your metabolism is moving at a faster pace than normal, which often results in unexplained weight loss. It may also cause enhanced anxiety. You might even notice a bit of shaking, or tremors (you grab that pen to write and notice you’re shaking). We’ve even seen other symptoms—going to the bathroom more frequently, diarrhea instead of constipation, etc. Watch your diet: It all starts with food—food is medicine. It’s healed me and thousands of my patients. We know that gluten, more than anything else, affects the thyroid. There are a number of different reasons for this. One is the processing of gluten today. We displace iodine, one of the key nutrients our thyroid needs to function effectively. We also know that too much sugar and too much yeast will also affect thyroid function and is the root of many patients with the autoimmune diseases, hashimoto’s or Graves disease. Take a strong look at your diet and cut out gluten and sugar and add in plenty of fat and protein. Nourish your hormones and hopefully you’ll find yourself at the beginning of your journey towards healing your thyroid. Iodine: Eggs are packed with them, but if you need more in your diet, aim for 5-10 mcg around three to four times a week. You can take too much though, so don’t overdo it—and stay consistent with how much you take. Iron: It continues to surprise me how many women today are iron-deficient, which, in turn, begins their thyroid story. And they’re far from alone—I fell into that camp, too. A lot of times, when you’re gluten-intolerant, you have leaky gut, which means you can’t absorb and store iron. This results in a bigger burden being placed on your thyroid. Aim for about 30 mg of chelated iron daily. Selenium: This mineral doesn’t get a lot of press, but it’s an important micronutrient. You want to get at least 150-200 mcg of selenium a day. A great way to score this by the food you eat is to snack on Brazil nuts or start your day off with an egg. At the end of the day what I’ve really learned is that each of our stories are unique—especially when it comes to our thyroid and the treatment of this almighty gland. For example, some women do really well on a type of medication called Nature -throid while others do well on Armour, a sister medication. Some do well on Westhroid, which is another type. Some patients do horribly on that stuff and they do well on Levothyroxine or Synthroid. I do best on the long-acting T3, the active form Triiodothyronine. Again your thyroid story is your own. To really talk too much about medication without seeing your numbers and what’s going on with you is honestly not fair but you should be well-versed in all the different options out there. Hopefully, after reading this, you can identify whether you’re experiencing a thyroid disturbance versus estrogen dominance versus insulin versus cortisol versus progesterone versus androgen, and all the other hormones that make us who we are. If you think it is, think about following some of the advice mentioned here. If it’s not, you may have to do a bit more research to figure out your hormone type—one of which we each fall into, though we’re not all the same. 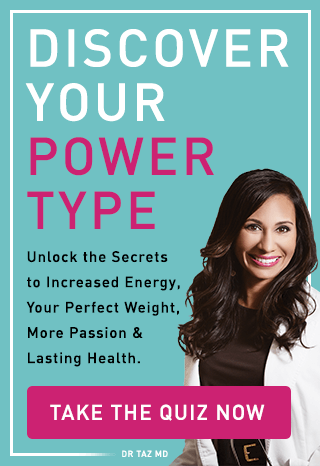 This is why I came up with the power types, which you can read more about in my new book, Super Woman Rx. 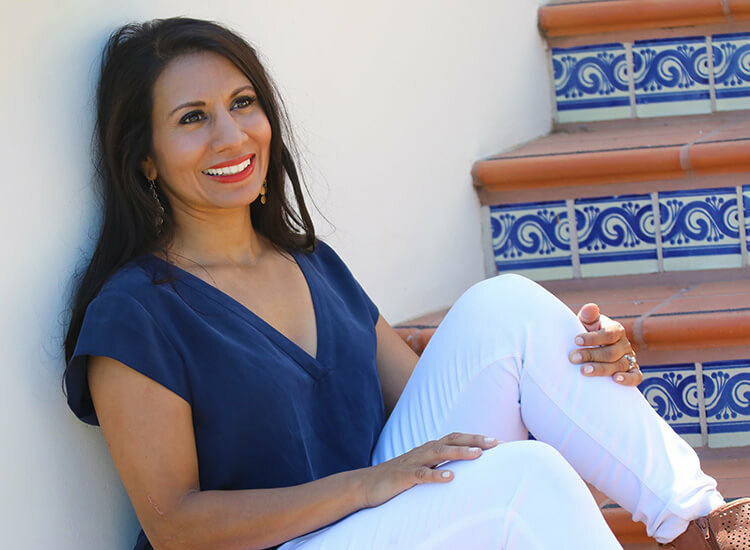 It merges all the information on nutrition, supplements and hormones and puts it all together, along with the lab values that I keep seeing over and over again in women, to create these five power types. So find your hormone type, learn your power type and be the best version of yourself that you can possibly be.